As we have seen previously (see this link), among men with Gleason 9 or 10 disease, brachy boost therapy (BBT) provided better oncological outcomes compared to either radical prostatectomy (RP) alone or external beam radiation therapy (EBRT) alone. The oncological outcomes in that study by Kishan et al. were 10-year metastasis-free survival and 10-year prostate cancer-specific survival (PCSM). 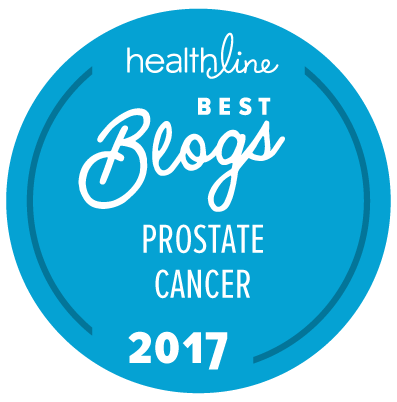 BBT was implemented using EBRT and a brachytherapy boost directly to the prostate using high-dose-rate brachytherapy. Some researchers argue that the comparison was unfair. In the Kishan et al. study, 43 percent of the RP patients received adjuvant or salvage radiation, and virtually all of the BBT patients received 1 year of adjuvant androgen deprivation therapy (ADT). What if all of the RP patients were to receive adjuvant EBRT and adjuvant ADT? 559 men received an RP + a pelvic lymph node dissection (PLND) at the Martini-Klinik Cancer Center in Hamburg. They computed a 76 percent chance (“plausibility index”) that the PCSM was plausibly the same for MaxRT vs. MaxRP. In a response printed in the Journal of the American Medical Association, Kishan et al. supplied numbers from his study that are more directly comparable. They are shown in the table below. We see that the two studies are really not comparable in some respects. The Kishan et al. study was much larger, and was done among many of the top institutions. The Hamburg patients had a much higher percentage of positive lymph nodes, and their mortality was twice as high as in the Kishan et al. study. The Chicago patients only got half as much ADT compared to those in the Kishan et al. study. Importantly (in the very last row of the table), the Kishan et al. study found that RP + EBRT had a PCSM rate that was twice as high as BBT, while the Tilki et al. study showed no statistically significant difference. Another important aspect was not reported in either study — the toxicity of treatment. We know that surgery plus radiation has worse urinary and sexual side effects compared to surgery alone. And BBT carries risk of higher late-term urinary side effects compared to EBRT alone. Until we have a randomized clinical trial of BBT vs MaxRP, we will never have certainty, but for now, the Kishan study better reflects expected outcomes of these therapies at top institutions. We have two problems here. One is a simple one: the chances that anyone will ever do a large enough, randomized, prospective, clinical trial of surgery vs. brachy boost radiotherapy in high-risk prostate cancer patients is virtually zero. Not enough men would be willing to be randomized to such a trial, especially if they knew they were going to have to agree to get adjuvant radiation and adjuvant ADT on top of the surgery. The second problem is more serious, and that is the degree to which we are willing to use retrospective data analyses like these as a surrogate for level 1 clinical trials. It is relatively easy to carry out such analyses, but the degree to which their results are clinically meaningful is always a real problem. One simply does not know what one doesn’t know about why the patients were treated in the manner they were treated. My entirely personal opinion is that all data like these can only ever be “hypothesis generating”, and using them to make any decision that one type of therapy is “better” than another is, at best, unwise. I totally agree with the first problem you raise. In fact, I can imagine very few situations in which a patient would agree to surgery knowing in advance that adjuvant radiation and ADT will follow. The potential side effect profile of that decision is onerous. In a better world, the patient would have reliable data on which to form a decision. Yet the patient does not have the luxury of not making a decision. I think that the consensus about “Levels of Evidence” is a good one — some kinds of evidence are better than others and have a better record of holding up. Randomization is certainly the gold standard. But statistical techniques that essentially simulate randomization (such as propensity score matched pairs, or Mendelian randomization) are as good as we will probably ever get on most topics when we only have retrospective data. Of course, a rigorous discussion of the direction of selection bias may increase or decrease our confidence. Looking more closely at the Kishan study for one of our guys just now, it appears to me that the ADT was not a “one-size”, 12-month period for all men in the EBRT + BT + ADT arm. 52% had <= 12 months of ADT and 48% had 12-36 months. This is a practical problem. … Our guy is eager to get off HT after 12 months; it is not clear to me that is optimal. By the way, Mack Roach is now telling his patients that the 18 vs 36 month study showing non-inferiority was underpowered; he is still recommending 28 months. So yes. It is the issue of selection bias that most concerns me, along with the inclusion of patients who may have been treated as much as 15 or 20 years ago in many retrospective studies, when we know that the standards for diagnosis and treatment (both in general and specifically) were far less accurate and rigorous that they are now. Even when we compare apples to apples, it is important to understand that we may be comparing very different types of apple (e.g., Golden Delicious apples and Granny Smiths). So if we are going to use retrospective data analysis as a “second best” option when randomized clinical trials are not a serious possibility, then we need to be extra cautious about which patient data is actually appropriate for inclusion in the analysis and which are not. You are right that 12 months was the median. I am skeptical of the need for long-term ADT with brachy boost therapy. I think there’s good evidence that short-term ADT does not add to its efficacy. There was an Australian clinical trial (TROG 03.04 RADAR) that randomized unfavorable risk men to long-term (18 mo.) vs short-term (6 mo.) ADT (and Zometa) and allowed doctors to choose the dose and type of radiotherapy. Men getting the HDR-BT boost therapy had lower rates of progression. Men getting long-term (18 mo. median) ADT had lower rates of progression. However, there was no significant difference in progression among men who got HDR-BT boost therapy whether they got long-term or short-term ADT with it. I hypothesize that long-term ADT in men getting brachy boost therapy only benefits those in whom there are occult lymph node mets. About 18% of recurrrent men getting the Ga-68-PSMA-11 scan were found to have lymph node mets that were never detected with a previous scan (See this link). Because the pelvic dose with BBT is only about 50 Gy, I think complete cancer annihilation is only accomplished with long-term ADT. I hope that the new advanced PET scans will be approved for high-risk patients. There were no actual links in your last message to Rick (above). If you can resend me the links, I can put them into the post for you. Sorry to cause you extra work. Tx for the response Allen — I am directing our man to it! I guess, as is often the case, it is a personal choice in how conservative you want to be. I erred on the side of caution, did more rather than less hormone therapy, and got the results I had hoped for. I have seen men with similar disease diagnostics to mine prefer less hormone therapy and their disease has recurred with evidence of metastases and required a lot more treatment. Now I may never have had occult lymphatic invasion and done too much treatment; and others doing less ADT may have been N1 and even more ADT would not have prevented the metastasis. But if there is good reason to presume micro-metastasis and that you may be one of the 18%, more is better than less.